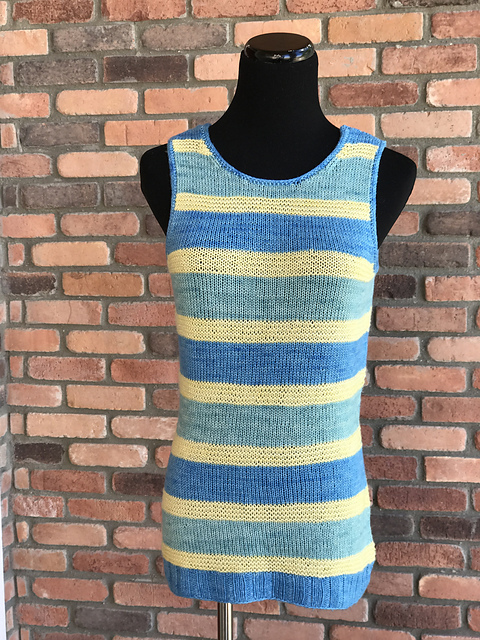 With warmer weather approaching, you may find yourself conflicted with the urge to knit vs. the very natural inclination to avoid anything that will make you feel warm (such as projects knit with wool yarn). Don't worry, there's no need to stash those needles away for the summer: try knitting a project with Lhasa Wilderness yarn, our breathable blend of 75% Tibetan Yak and 25% Bamboo! 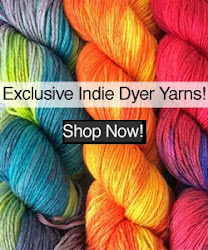 You'll find this yarn to be surprisingly cool, and we have a multitude of semisolid and variegated hand-dyed colors to choose from in addition to natural brown and natural cream (click here to see all your options!). Each skein has a whopping 250 yards, so there are quite a lot of projects you can make with just a few skeins of yarn. Fun fact: Bamboo is naturally antibacterial - just one more reason to love this yarn! 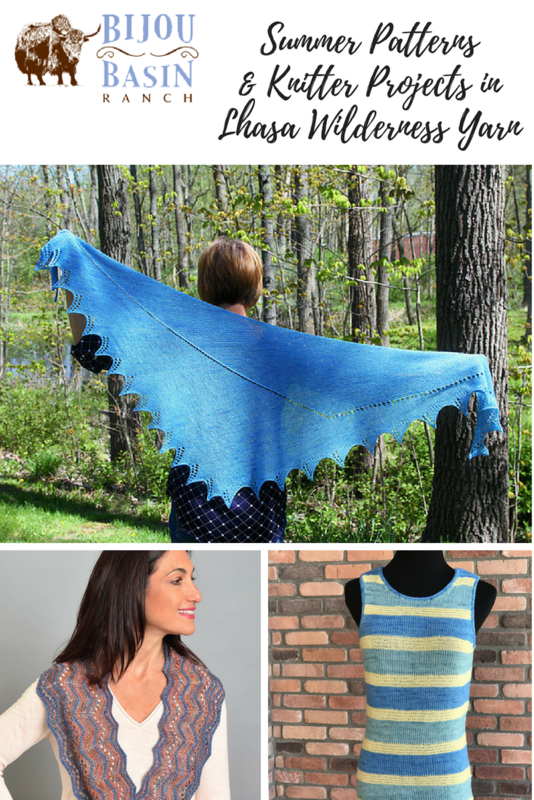 We've rounded up some of our favorite designs and knitter projects to inspire your next knit with this fabulous yarn. Take a trip without leaving your house with the Islander Shawl by Irina Eberhardt. This asymmetrical shawl combines eyelet, stockinette and garter stitches to create your own version of paradise as you knit. Best of all, it's knit in one piece with no picked up stitches! The name says it all: Summers Here! This striped sleeveless top from Allura Linda Designs is knit in the round from the bottom up, then separated at the armholes to work flat for each side. Mix and match your favorite colors of Lhasa Wilderness to create a summery top that is uniquely yours. The Alora Cowl by Andi Javori is knit flat the long way, then seamed at the ends to create an oversize cowl that will look great with any outfit. This is a fun way to pair up our variegated and semisolid hand-dyed color options, or you can opt to make a version with both of our undyed color options, natural brown and natural cream. 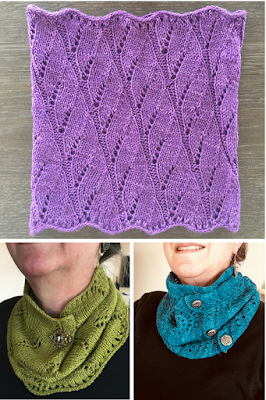 The Cameron cowl by Veronica Parsons is featured above in the top image; we recommend knitting it in our new Lavender color way if you want to achieve a similar effect. The Charlotte Lace Cowl by Patricia Hart is shown above in the bottom right image; try it in Raspberry for a similarly electric effect. The Polypodium Vulgare Cowl by Hunter Hammersen is shown above in the bottom left image; a similar color option would be Pistachio. 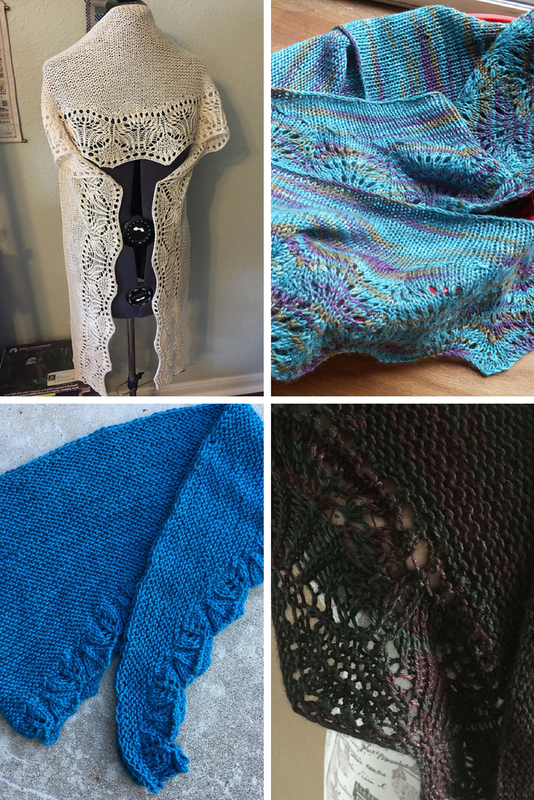 We have also spotted several recently-finished projects using our FREE Culebra Simple Shawlette knitting pattern! It's so fun to see which colors of Lhasa Wilderness each person chooses for their project. Clockwise from top left: Ipiatek's project in Natural Cream, Ribbity's project in Lohengrin, Catmujer's project in Culloden, and Minnebelle's project in Teal. 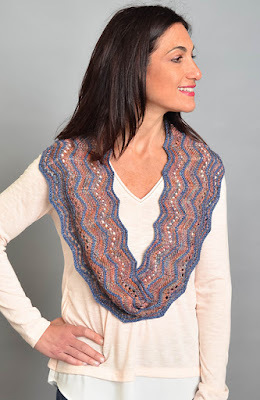 You can get your own copy of the Culebra Simple Shawlette by signing up for our newsletter here. 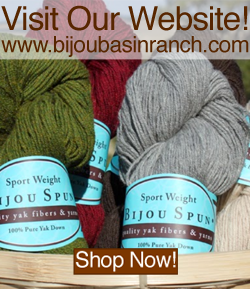 Be sure to share your projects with us on Instagram using the #bijoubasinranch hashtag. Happy knitting!